Two years on and I still encounter quite a few people who are a little hesitant about sake due to the tragic events of March 2011. While many consumers initial reaction following the earthquake and following tsunami that hit the Northern Japan region of Tokoku was to go out and buy sake from the affected regions in a show of support, that support slowed right down following the explosion at the Fukushima nuclear power plant. Panic set in and folks were concerned sake from those regions may be tainted or worse contaminated with radioactivity. While I don’t wish to play down the severity of what happened in 2011, some of the reactions were based on panic rather than facts. To clarify, Tohoku is the name for the North Eastern part of the main island of Japan. It is made up of Fukushima, Miyagi, Iwate, Yamagata, Akita and Aomori prefectures. Firstly, for the rest of 2011 and a good part of 2012 the sake from these regions had already been brewed and and much was even already bottled. March is around the end of the brewing season so all the rice and water that went into 2011 sake had already been harvested and sourced. Sake breweries are sturdy buildings many with thick concrete walls to prevent against temperature fluctuations and sake that was being stored in breweries was quite safe (from radiation-not the floods, a lot of stock was lost). This of course meant the “risk” lay more in sake being brewed in late 2011 early 2012. The first harvests of 2011 were not used in sake brewing as the Japanese Agricultural Co-Op was inspecting and testing the rice. Breweries from the Tohoku region used rice from Western Japan and other regions as many of them do anyway, quite removed from the explosion zone. All rice in Tohoku is being tested with the rice from Fukushima and the immediate surrounding areas being tested up to four times more vigorously. As most of these tests are spot checks breweries are conducting their own tests once they have purchased their brewing rice. It’s important to remember the sake industry in Japan is not exactly booming, the last thing these breweries want to do is put the final nail in the coffin by selling contaminated sake. Another point is when rice is used for sake brewing it is milled down from its original size by as much 70%. Those outer layers are milled away and are used for such things as feed for farm animals, pickles and even to make cosmetic products. And again this rice refuse (called nuka) is also tested for radiation by the National Agricultural Co-Op. If the levels of the outer 50% or so of the rice is safe you could expect the inner centre of the rice grain to be equally safe and testing has proven that cesium does not penetrate that deeply into unmilled brown rice.. Sake is also being tested in its final production stages (roughly three months after production start). So far there have been no incidents of rice used in sake exceeding the accepted cesium levels or incidents of contaminated sake itself. What about water I hear you ask? Water used for brewing is usually sourced from wells deep underground. The radiation fortunately hasn’t penetrated that far into the earth and for the most part water even in Fukushima (and more importantly the water used for brewing) has been declared safe. Breweries are doing all this testing voluntarily, as I said no one wants to compromise the quality and reputation of Japanese sake or harm a populace to avoid losing business. 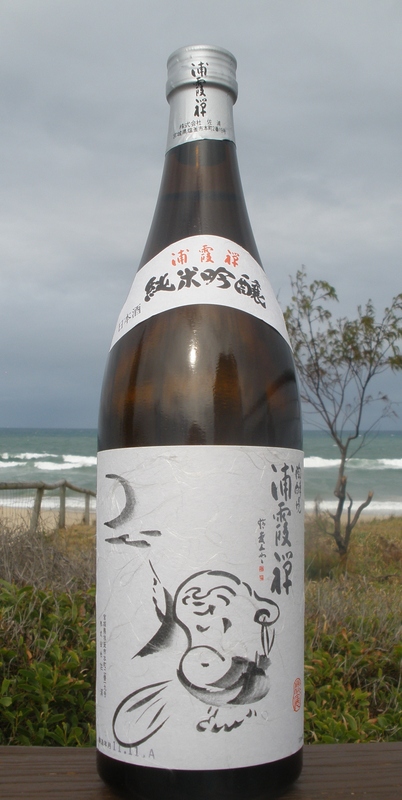 Last year at the National New Sake Awards sake from Fukushima cleaned up with 22 gold medals. And for you cynics out there, this is a blind tasting competition so there was no sympathy vote for Fukushima. The quality of sake is not suffering, these guys are putting it on the line and churning out quality sake that is safe to drink against everything nature threw at them two years ago. I’m not going to get into the conspiracy theories or exaggerated journalism that’s been prevalent for the last two years and of course the decision on whether or not to trust sake from the Tohoku region will ultimately come down to the consumer but personally, I’m behind them all the way. Drink Tohoku! Urakasumi‘s Junma Ginjo Zen is a gorgeous palate cleansing brew. Aromas of cedar (though no cedar barrel contact), chestnut, melon and poached pear. Ample bodied mouthfeel with some plump, rice driven characters. 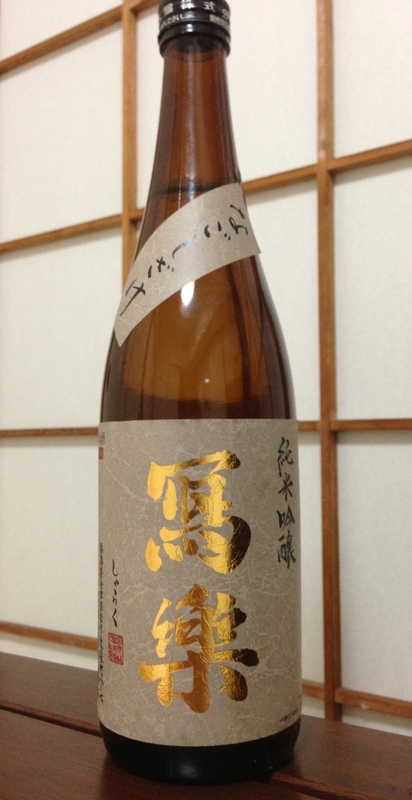 Urakasumi recommends this sake with oysters and I couldn’t agree more!